Mac OS X Lion is close at hand. Apple may release the OS 10.7 within a week through the Mac app store. The features of the Lion upgrade that is available at $29 would urge everyone to consider it, but the suggested installation through Mac OS app store is a bit of a bother. A question everyone will have is whether the update deletes existing files or settings in Snow Leopard, when upgraded. Apple clearly states that you need a current Snow Leopard installation to get Mac OS Lion from the store. The upgrade won’t alter the apps installed, settings and data if you prefer the direct update. But if you want a fresh Lion setup, you will need to format the disk and do a clean Leopard installation at first. It’s a hectic task, but it seems that is the only solution at this point. 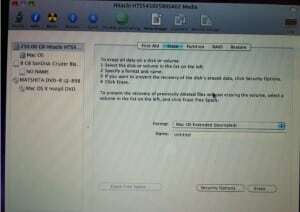 So here is step by step procedure for installing the OS X Lion from scratch. 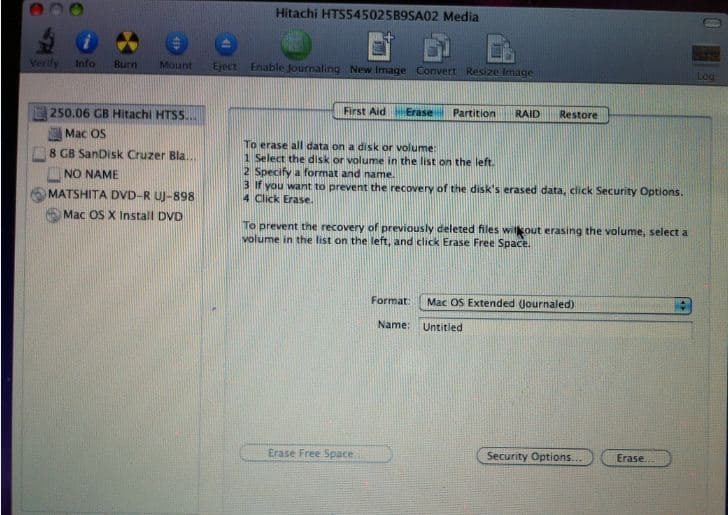 Insert the Mac OS X 10.6 DVD. Press Option key and the letter C until the installer lists Snow Leopard. Select it and proceed to installation. You are doing it fresh so you have to format everything left behind in the target disk. Click on Utilities from the top tabs and select Disk Utility. It will open a new window with storage data as shown below. Now Erase the partition as given in the screenshot, also provide it a suitable name. Then close it and return to the installer. During the process, the installer will show a message “Do you already own a Mac.” Opt for “Do not transfer my information now” as our intend is to create a fresh Mac OS X Lion partition. Fill personal details, registration info, network, and Apple ID, etc. whenever it is prompted to do so. Finally, when you are on the desktop, find Apple software update and install Mac OS X Snow Leopard 10.6.8 combo. It will bring the Mac store and facilitate Lion installation. Now sign into the store using your Apple ID and download Mac OS X Lion by paying $29.9. You can see the download progress inside Purchased tab in Mac app store. 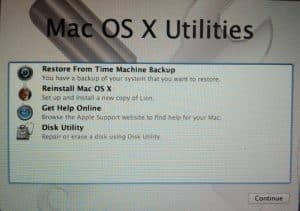 After download copy the installer (Install Mac OS X Lion.app) to a safe place and start installation.We can use this installer to create an offline bootable USB stick. The system will restart to finish the setup. Lion it will setup a Recover HD in your boot options after the first installation. 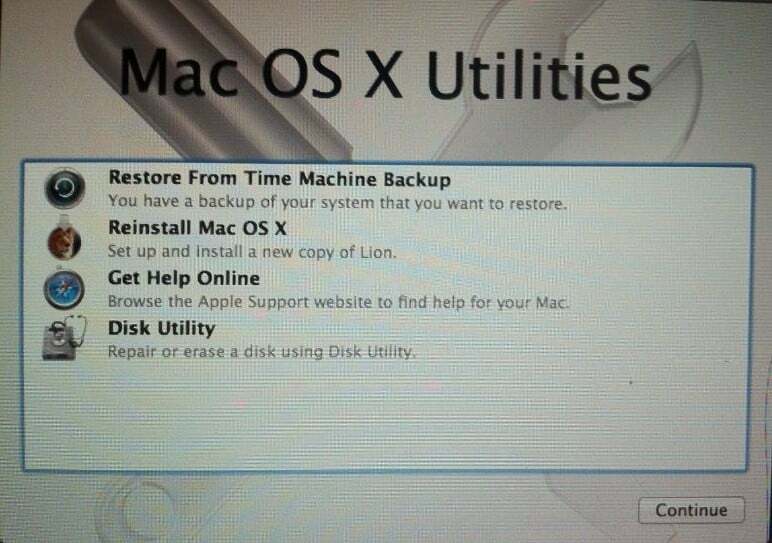 This option can be used to Recover or re-install Lion from internet or using a Time Machine backup. With the internet option you will have to download full Lion installer again from Apple servers.